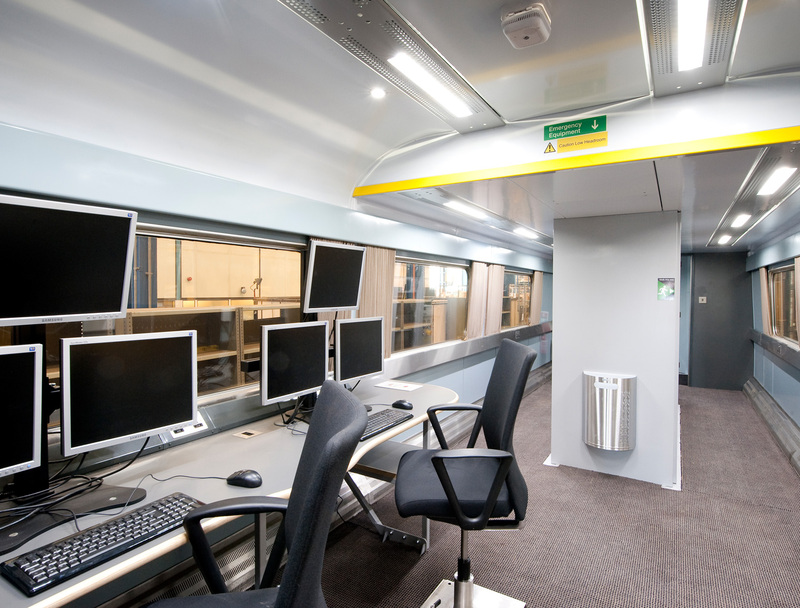 dg8 in partnership with Derby Engineering Unit were commissioned by Network Rail for the tasks associated with the modification and upgrade to the test vehicle called EMV. 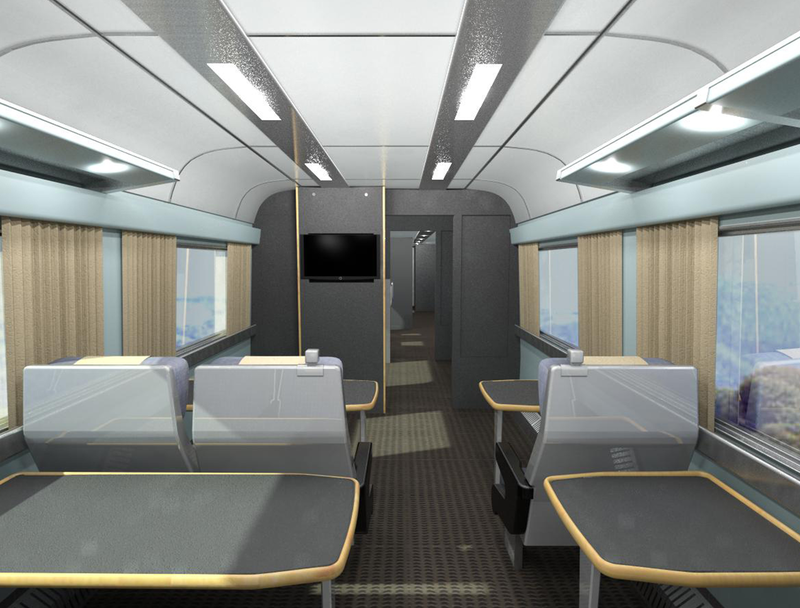 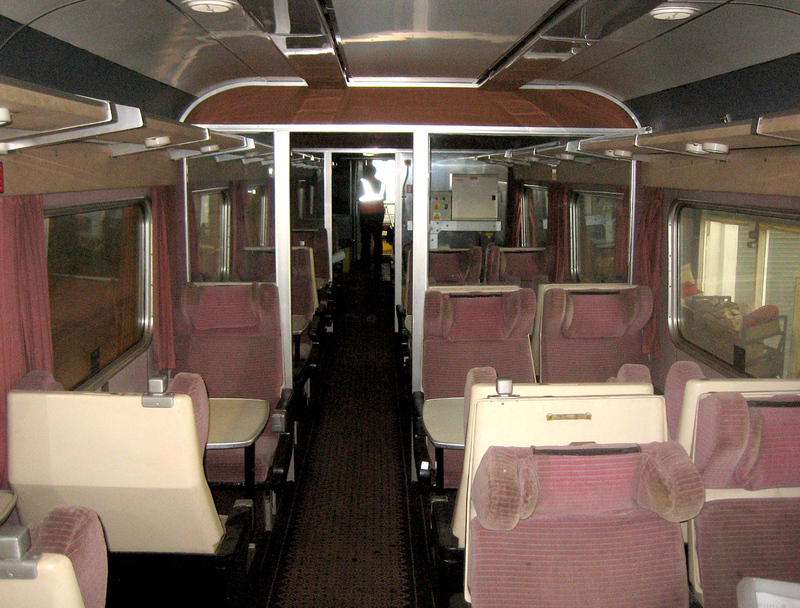 The vehicle was created by converting a redundant test coach which had previously been subject to a number of rudimentary interior modifications. 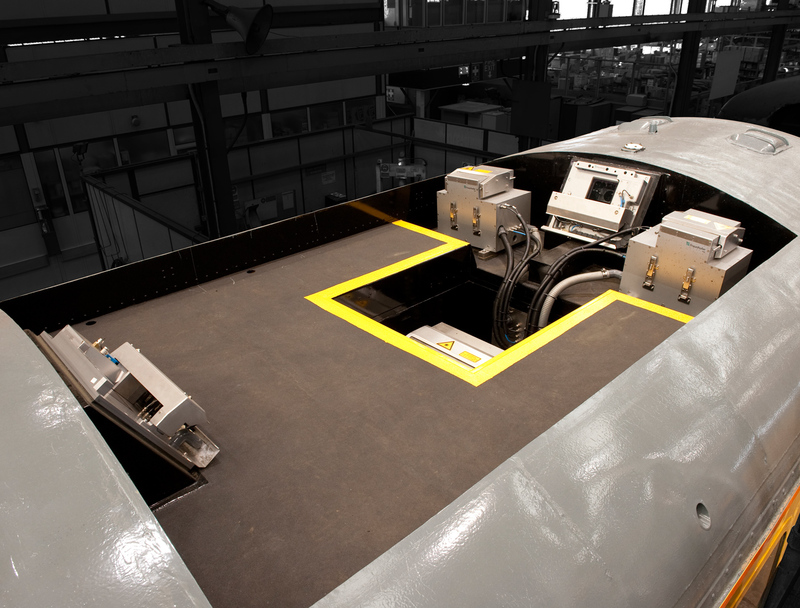 The existing vehicle body structure and underframe was modified to create a split level flat roof and interior racking to accommodate the specialist scanning equipment. 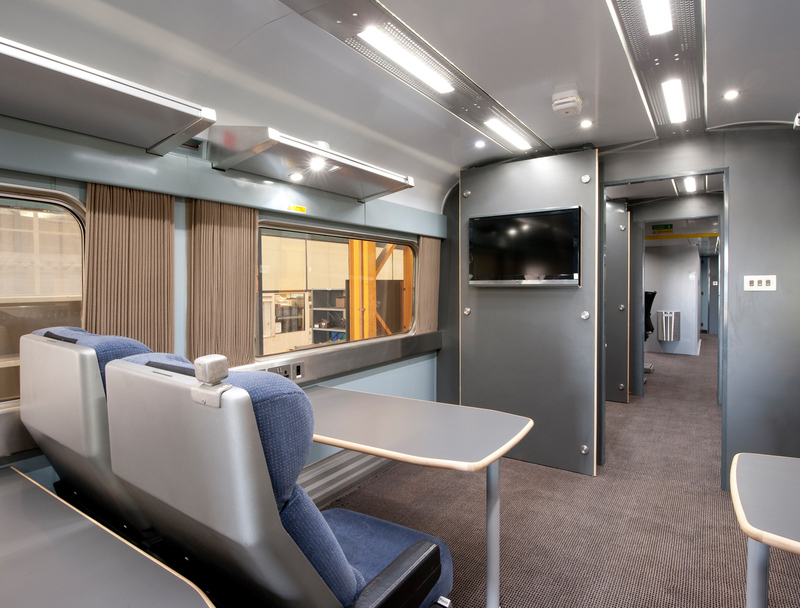 The contemporary refurbished interior employs a muted and harmonic colour palette to provide an uncluttered calm aesthetic for the different work zones.